Just wanted to say thanks to Rawpromo Derby and the superb Flowerpot venue for one of the best gigs I have ever been to in my life - and I've been to some superb gigs! The gig in question was on Thursday night when the Pat Travers Band exploded onto the stage - and I mean exploded! I've seen this band before, but their energy levels this time were just incredible. From the minute they hit the stage and for the next 90 minutes or so it was an onslaught of raunchy, in yer face, power rock and blues. Pat Travers Band is one of the very few guitarists who can play the blues with such raw power and yet keep the integrity of the blues. I was expecting a set with a lot of songs from the new album and whilst there was the excellent opening track "Can Do" most of the set was a Best of Pat Travers and the band just ripped into songs like "Crash and Burn", "Statesboro Blues", "Snortin' Whiskey" and, of course, "Boom Boom ( Out go the lights)" plus what a version of "Black Betty" - it had the hairs on the back of my neck standing on end. Pat was clearly enjoying himself and the band are so tight that you wouldn't get a gnat's todger between them! Who needs Pat Thrall when you've got Kirk McKim? The last time I left a gig with a such a buzz and with my ears almost bleeding was when I saw Trapeze at the Robin many years ago. 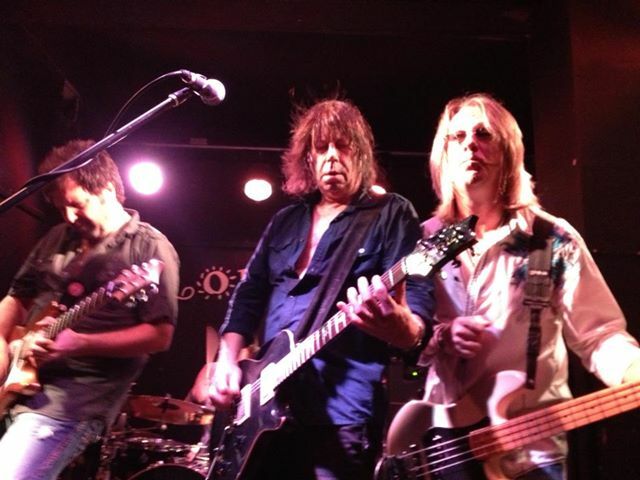 If you've never seen the Pat Travers Band and you enjoy rock and blues then get to see him anywhere you can soon. Oh... and if you've never been to the Flowerpot in Derby then get their too and check out all the superb bands they have lined up. Next one for me is probably Bernie Marsden next month - can't wait!